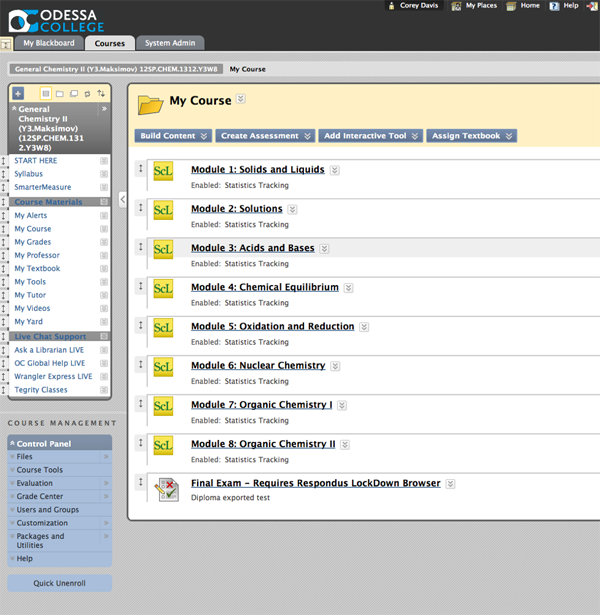 Odessa College is hardly new to online education. This large West Texas community college has offered online courses for over a decade, allowing them to reach students beyond their Odessa, Andrews, Monahan, Pecos and Seminole campuses. Today, their online learning program is known as OC Global, and they are pushing the envelope for online education. OC Global is a fully accredited online learning program that offers accelerated and self-paced core transfer courses, as well as a self-paced Associates Degree program. They focus on research and development for online learning solutions that can be implemented across Odessa College. To this end, their mission is to deliver accessible courses that can be accessed on the most inexpensive device possible. SoftChalk is one of the tools that supports them in meeting their mission. For OC Global, SoftChalk makes online courses accessible, beautiful and affordable. OC Global Executive Director Corey Davis puts SoftChalk to work making learning more affordable for all students and available to those with limited resources. One way SoftChalk does this is by helping to eliminate the financial burden of expensive printed textbooks. “Students were failing because they couldn’t afford the textbooks,” says Davis. “Instructors are making their own content anyway—lectures, for example—but textbook affordability is huge, so they are creating a lot of their own.” Students or instructors can simply hit “print all” in a SoftChalk learning object and have an affordable textbook or course book for studying. Additionally, Davis uses SoftChalk to make sure students always have access to course materials in a format that works for them. Lessons are designed so that students can easily print them out or use them on a computer, smartphone or cell phone (via SMS). For some OC Global students, mobile learning isn’t a convenience, but a necessity. “A lot of students don’t have computer access at home,” says Davis. “But they do have unlimited texting on cell phones.” So far, 75% of OC Global’s courses can be accessed on a smartphone and 50% on a regular cell phone. They are working towards a rate of 100% for both. SoftChalk also helps Odessa College function more efficiently. SoftChalk is highly customizable, providing functionality that OC Global has found to be too expensive through most learning management systems. Plus, SoftChalk learning objects are always available, even if Odessa’s servers aren’t. This contingency is becoming more and more real to Odessa; they have watched as hurricanes completely shut down colleges near the Gulf Coast of Texas. Many of the features that make SoftChalk an affordable solution also make it an accessible one for students with disabilities. Davis — who has experience as a student with learning disabilities—believes that courses should be built accessible from the ground up, and uses SoftChalk to its fullest potential to achieve that for OC Global. “You can get a very accessible course just using SoftChalk out of the box,” he says, adding, “Put in a little more work, and you can get a fully accessible course.” This is what Davis has done, providing alternative texts and support tools. Odessa is the first college in Texas to partner with ReadSpeaker, an online text-to-speech tool, so their integration with SoftChalk is key for OC Global. Plus, with SoftChalk, OC Global courses were not forced to sacrifice aesthetic appeal for accessibility. Davis considers attractive design key to course creation, and he has found this to be a crucial feature for students with psychological disorders. 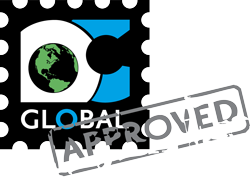 Still, the bells and whistles ultimately are not what matters most to OC Global. What matters is if it meets their students needs and integrates with their other tools. “SoftChalk supports our mission, and our mission is data driven,” says Davis. “We make technology choices starting with what we know about our students.” What OC Global students need is a mobile, affordable and accessible learning experience, and SoftChalk helps to provide that.